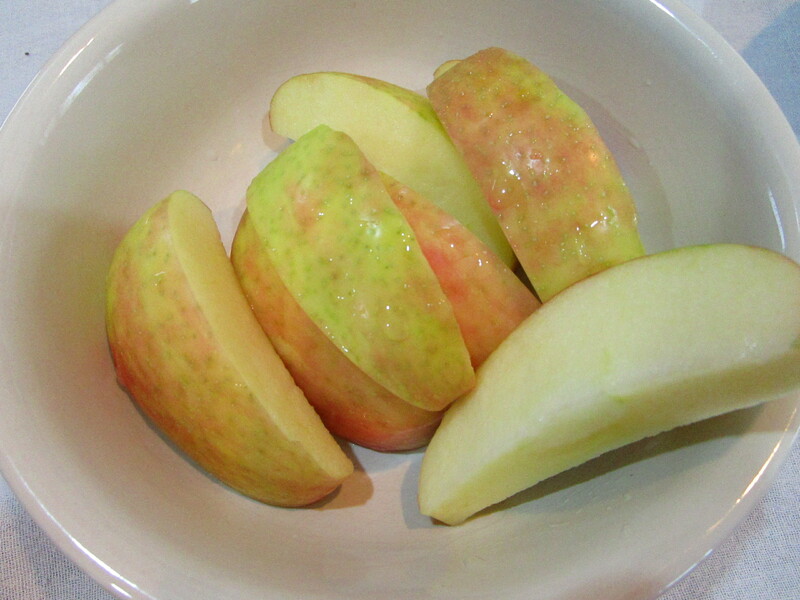 This is Day Eight in a 9 day series featuring apples. Click here to start reading at the beginning of the series. 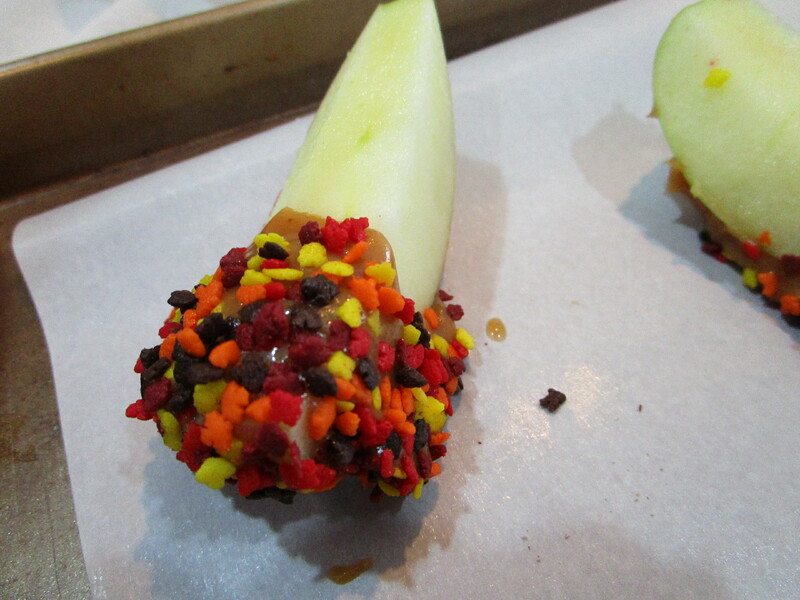 First of all, we prepared all of the toppings that we wanted to dip the caramel apples in. We chose bright fall sprinkle decorations, chopped walnuts, chopped chocolate chips (or mini chips), and chopped fall-colored M&Ms. 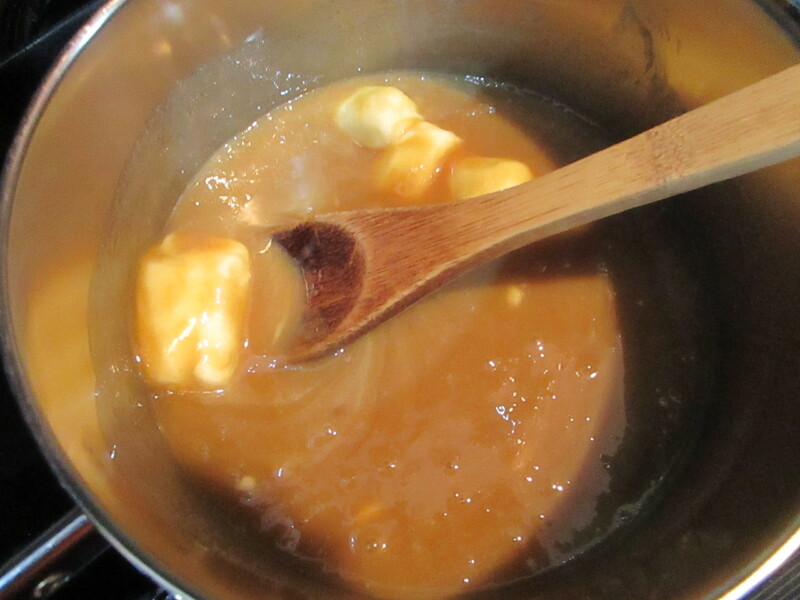 For the caramel, we place the butter, brown sugar, and corn syrup in a medium sized sauce pan with a heavy bottom. Then we add the sweetened condensed milk. Stir it together over medium heat. We were simply frantic when we saw some brown specks after about 30 seconds, but (to our extreme relief) the caramel hadn’t burned. So don’t be too hasty in throwing it away if it’s starts looking speckled. For we know: waste not; want not! Stir it until the caramel is silky smooth. Clip a candy thermometer on the side of the pan, too. When the caramel starts boiling, reduce the heat to medium-low and continue to watch and stir until the thermometer reads approximately 248 degrees F.
When the temperature is at 248 degrees F., remove from heat and stir in a splash of vanilla extract. Superbe. See that rich color? It looks just like…well…caramel! Slice a few crisp apples. Place them somewhere easy to reach. You can dip them in lemon juice, if you wish. This is where the fun starts! We dipped each slice halfway into the caramel, but you could do almost any style. I think it would be cute to put them on little skewers and completely cover them. 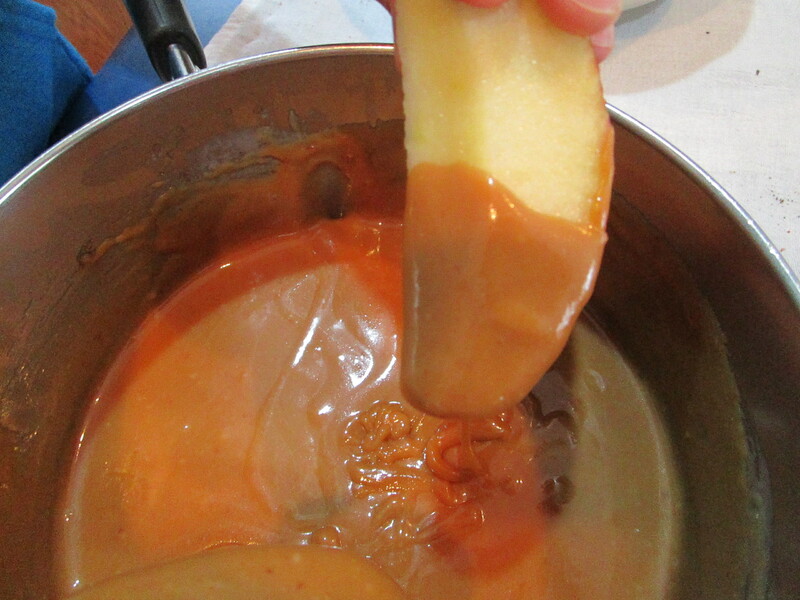 Then dip the caramel end of the apple into any of the toppings that you prepared earlier. Set the caramel-dipped apples on a parchment paper-lined baking sheet and allow them to cool. 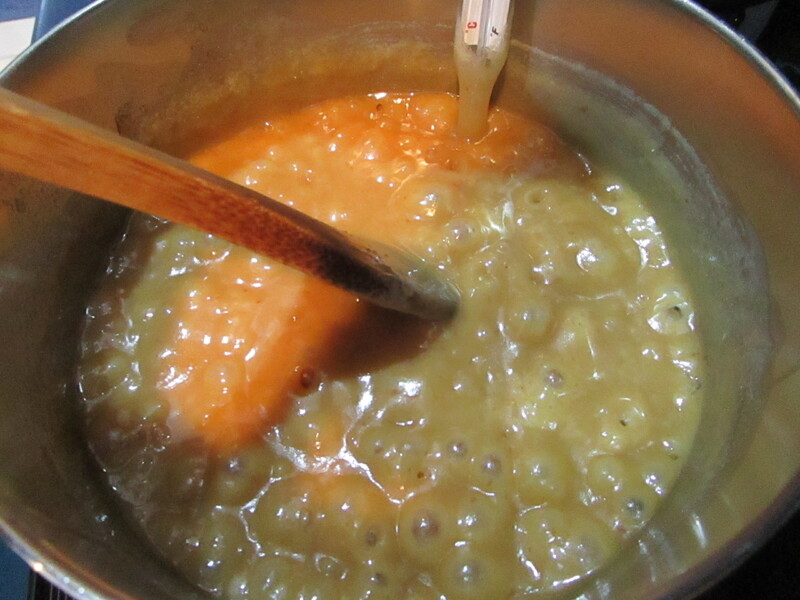 In a heavy saucepan, combine butter, brown sugar, corn syrup, and milk; bring to a boil over medium heat. Cook and stir until mixture reaches 248 degrees F. (firm-ball stage) on a candy thermometer, about 15-20 minutes. Reduce heat if necessary to keep it from scorching. Remove from heat; stir in vanilla. 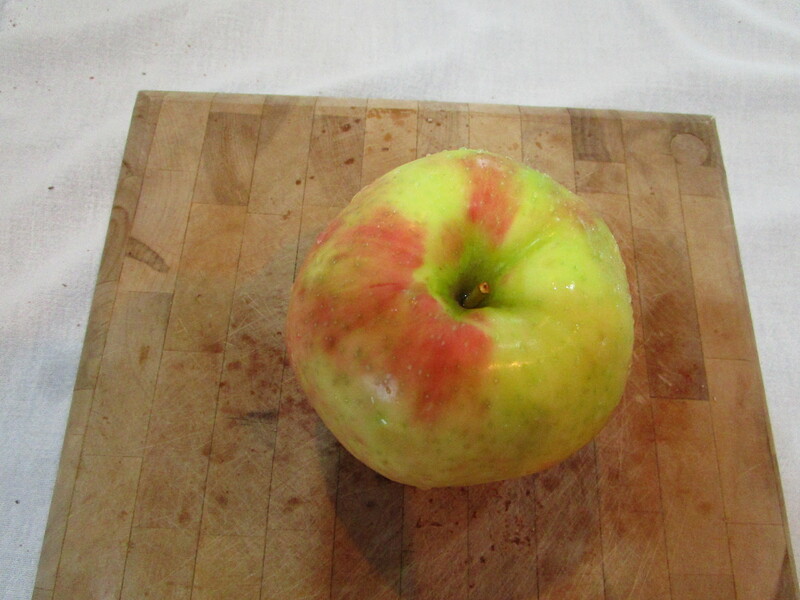 Slice apples into desired sizes. Dip each slice into hot caramel mixture, turning to coat. Decorate with favorite toppings (sprinkles, chocolate chips, chopped nuts, etc.) Set on parchment paper to cool.